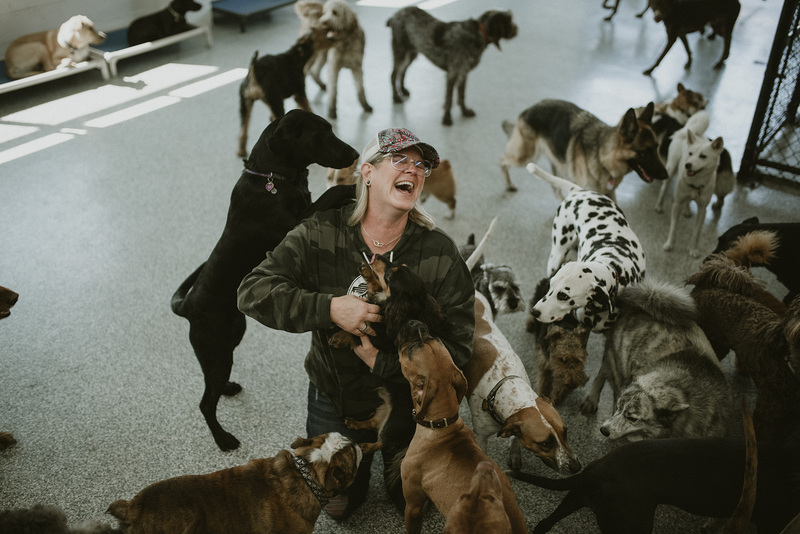 Welcome to Dog City where dogs and their owners alike have their day, a community of four-legged and two-legged visitors who are treated with kindness and care. Where Jan Brown, the owner is focused on creating a stellar stay. She will lend an ear, a hug or even a treat… yes, they’re that dedicated to creating a fabulous community. Dogs enjoy coiffing and trimming at the spa, frolicking in the play area, and snoozing in the cozy sleeping nook. Aromatherapy fills the front room where a smiling, welcoming receptionist is the first person you see. People may get emotional about their dogs; Jan understands this too and that’s why Dog City works so well. With a keen sense of what the dogs are feeling she can surmise what their owners are feeling as well. If you’re having a troubling day she’s happy to “hash it out with you all in the effort of helping people and their dogs relax,” she said. “It feels better to know we are all in it together. We are all equals; it’s ridiculously awesome,” Jan said. The dogs support one another too. Take for example, a blue-eyed Stafford Terrier named Pyper Flower, the resident nurturing dog. She greets new dogs with an affectionate sniff and snuggle. Pyper was abandoned and abused previously, yet despite the neglect her spirit is strong and loving thanks to her new owner. When it comes to kindness Jan doesn’t see an alternative, “Why be anything else? That doesn’t make sense. My mother always says, be kind to others, so this is just the way I am,” she said. Jan’s mother taught her how to approach life this way. “No matter what she was going through she was kind. You make your own happiness and can make other people’s happiness too,” Jan said.